Artificial intelligence and machine-learning capabilities are starting to fulfill their promise across multiple IT areas -- and cybersecurity is no exception. 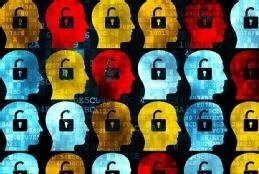 Organizations are tapping into AI cybersecurity benefits and those of other smart technologies, including robotic process automation and machine learning. These smart technologies let IT quickly detect suspicious IT behavior and identify threats because they analyze data to provide alerts about emerging attacks much faster than human employees can alone. But before investing in a much-hyped AI cybersecurity technology, several questions should be answered. How should employees be trained to use these technologies? Is the technology viable, or will it be outdated and useless in six months? Does the AI technology introduce any unforeseen cybersecurity risk when it is integrated with existing systems? Ignoring these questions and others like it could only end up making AI mask deep-seated cybersecurity issues that end up increasing risk in the long run. In this guide, learn how artificial intelligence, robotic process automation (RPA) and other smart technologies are revolutionizing the cybersecurity market -- and about how to avoid the potential pitfalls of relying too heavily on these still-nascent technologies. RPA, machine learning and AI cybersecurity benefits are real, but they're no silver bullet.